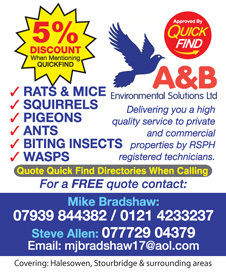 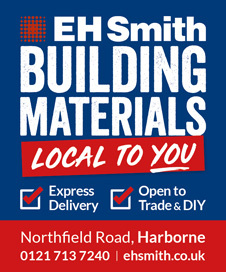 Approved and recommended by Quick Find Directories, A&B Environmental are a local trusted trader in Halesowen, Quinton, Birmingham and surrounding areas. 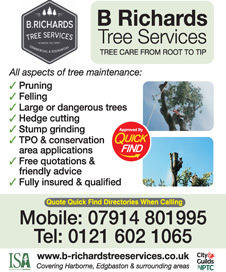 Approved and recommended by Quick Find Directories, The Local Gardener are a local trusted trader in Quinton, Birmingham and surrounding areas. 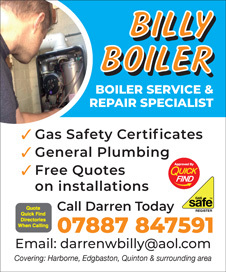 Approved and recommended by Quick Find Directories, Billy Boiler Services and Repairs are a local trusted trader in Olton and surrounding areas. 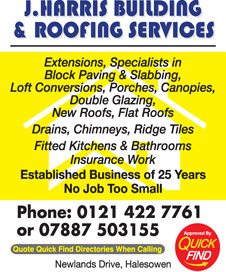 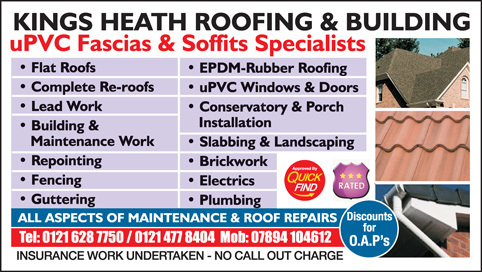 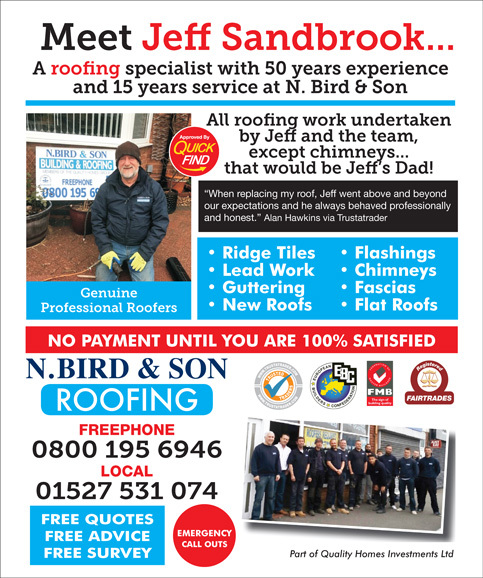 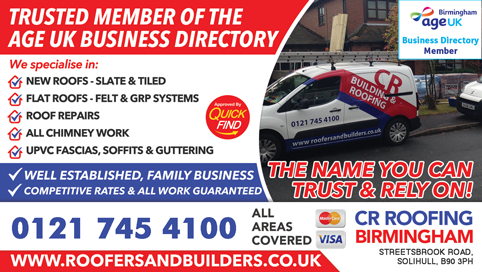 Approved and recommended by Quick Find Directories, Kings Heath Roofing and Building a local and trusted trader in Quinton, Rubery, Shirley and surrounding areas. 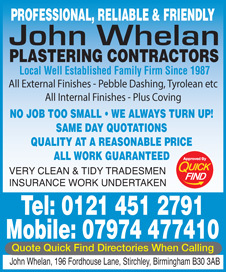 John Whelan Plastering Contractors are a Quick Find approved and vetted local business; specialising in all aspects of plastering. 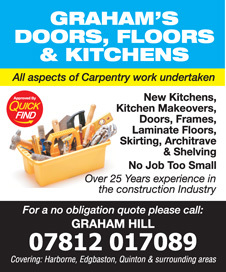 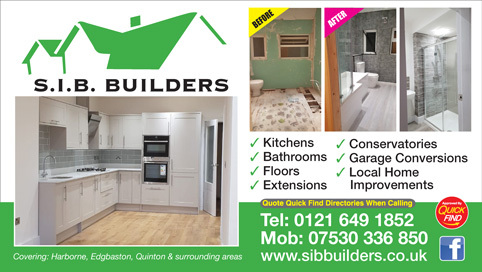 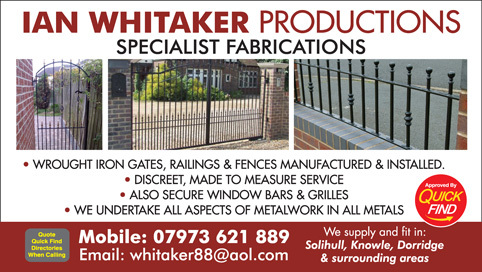 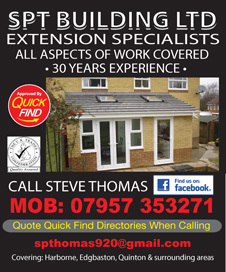 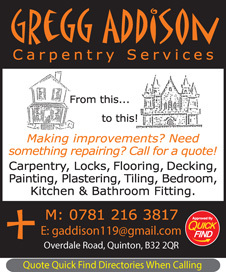 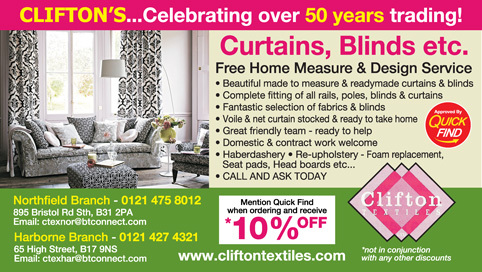 A local trusted trader in Quinton and surrounding areas. 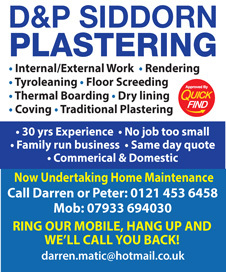 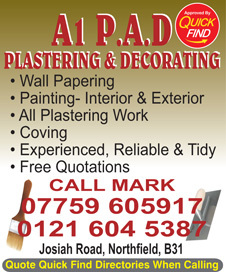 Approved and recommended by Quick Find Directories, MM Plastering Services are a local trusted plasterer in Quinton, Harborne, Edgbaston, Birmingham, Rubery and surrounding areas. 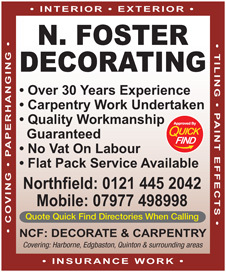 Approved and recommended by Quick Find Directories, N Foster Decorating are a local trusted painter in Quinton, Rubery, Birmingham and surrounding areas. 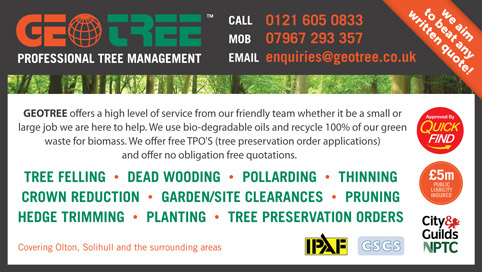 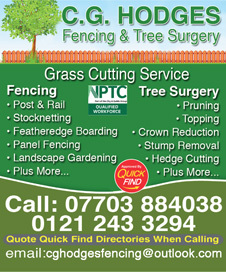 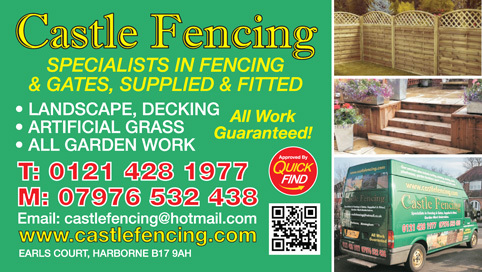 Approved and recommended by Quick Find Directories, CG Hodges Fencing and Tree Surgery are a local trusted trader in Quinton, Bournville and surrounding areas. 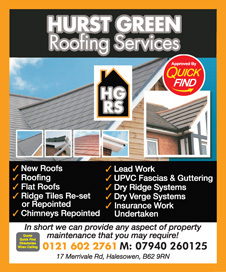 Approved and recommended by Quick Find Directories, Hurt Green Roofing Services are a local trusted roofer in Birmingham, Quinton and surrounding areas. 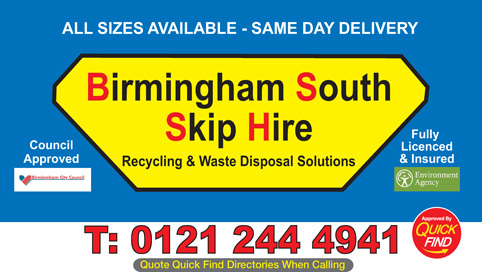 Approved and recommended by Quick Find Directories, Birmingham South Skip Hire are a local trusted trader in Quinton, Rubery, Redditch, Shirley, Solihull and surrounding areas. 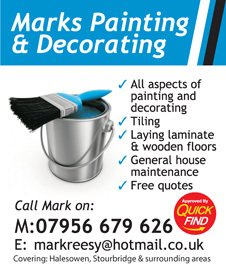 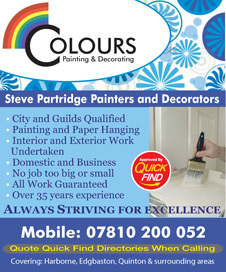 Approved and recommended by Quick Find Directories, Marks Painting and Decorating are a local trusted trader in Halesowen, Quinton, Birmingham and surrounding areas. 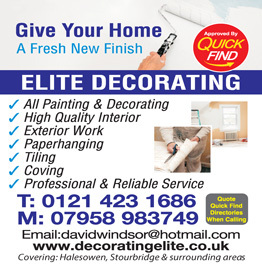 Approved and recommended by Quick Find Directories, Elite Decorating are a local trusted trader in Solihull, Shirley, Rubery, Quinton, Birmingham and surrounding areas. 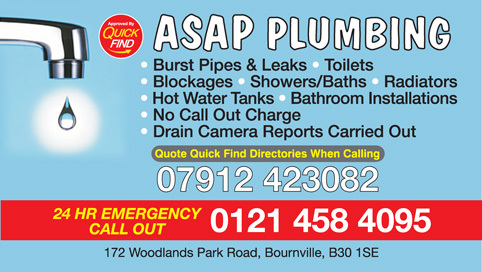 Approved and recommended by Quick Find Directories, ASAP Plumbing and Bathrooms are a local trusted trader in Halesowen, Bournville, Rubery, Redditch, Quinton, Birmingham and surrounding areas. 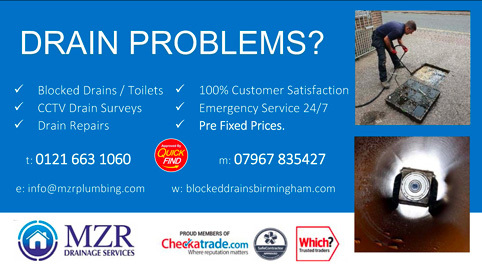 MZR Drainage services are a local trusted trader, vetted and approved by Quick Find. 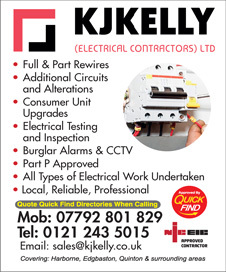 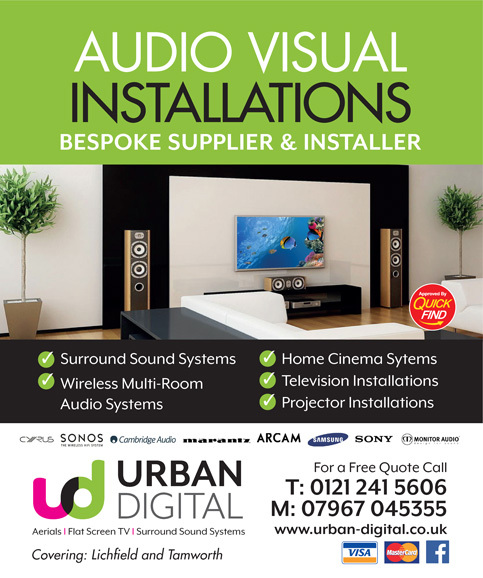 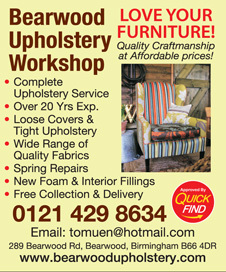 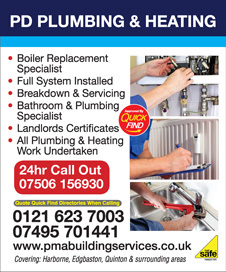 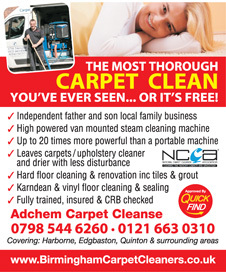 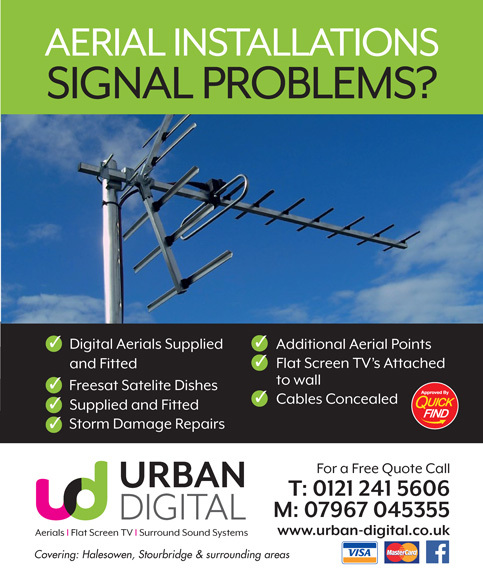 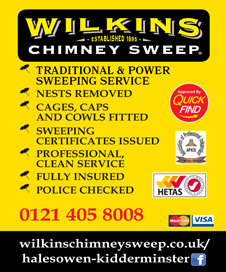 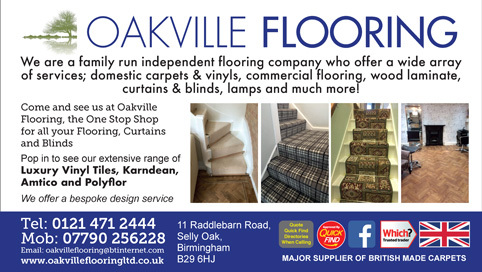 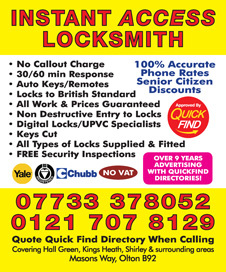 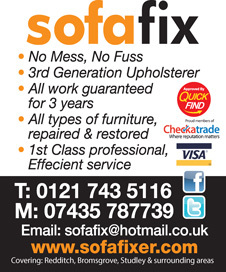 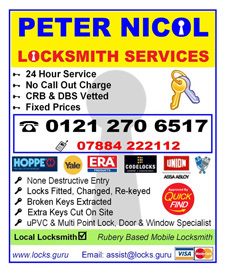 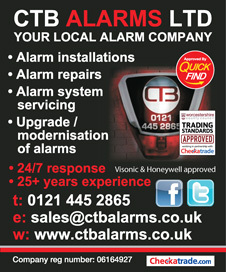 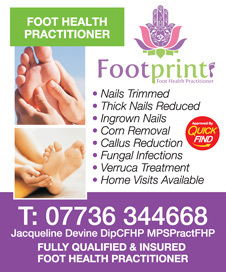 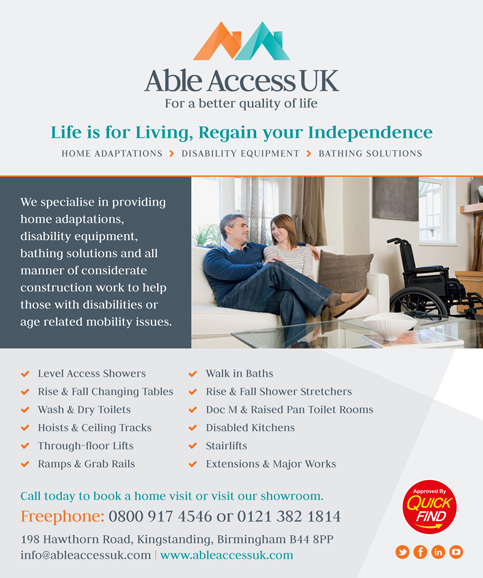 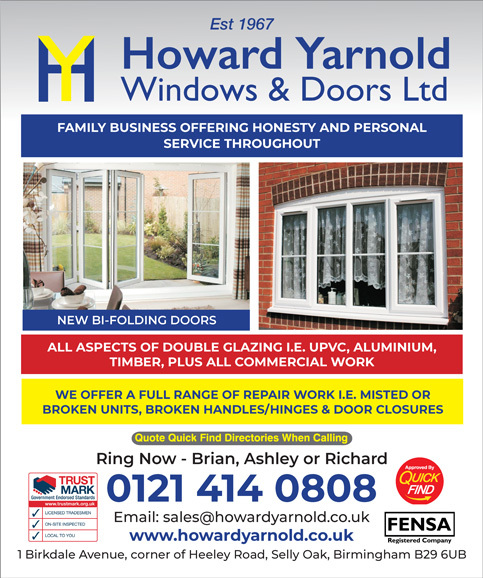 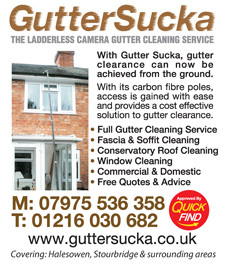 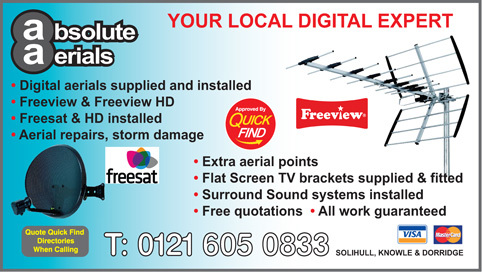 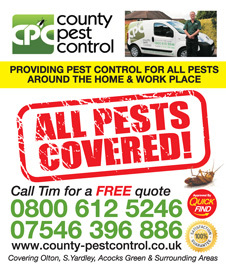 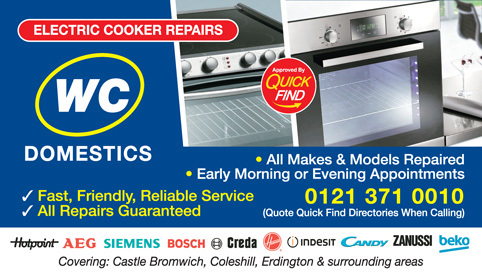 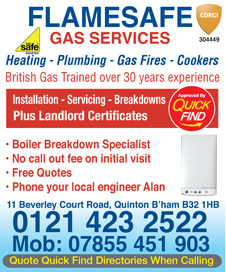 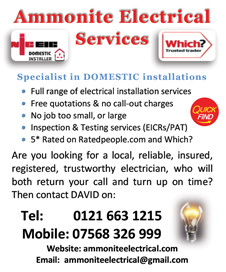 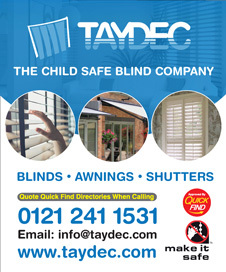 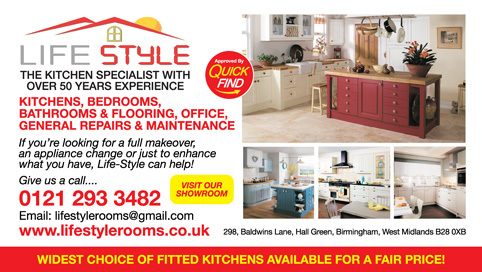 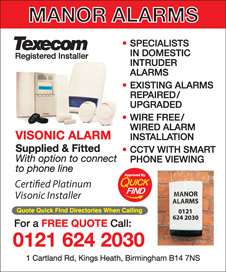 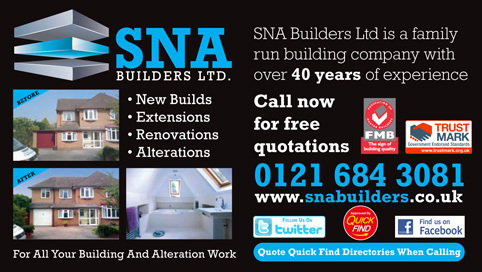 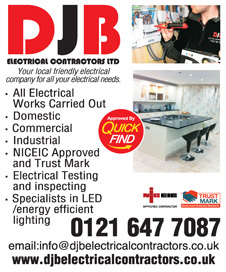 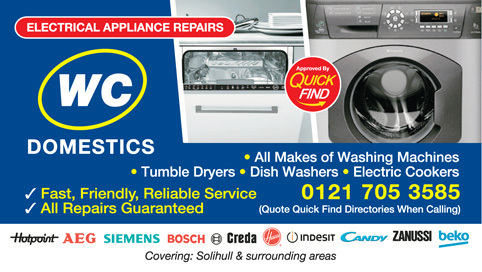 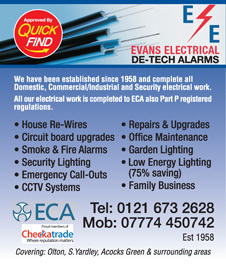 Covering Quinton, Harborne, Edgbaston, Birmingham and surrounding areas. 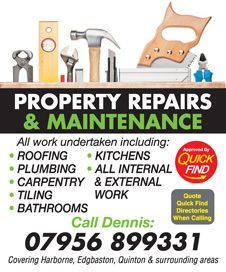 Approved and recommended by Quick Find Directories, Property Repairs and Maintenance are a local trusted trader in Solihull, Shirley, Rubery, Quinton, Olton, Birmingham and surrounding areas. 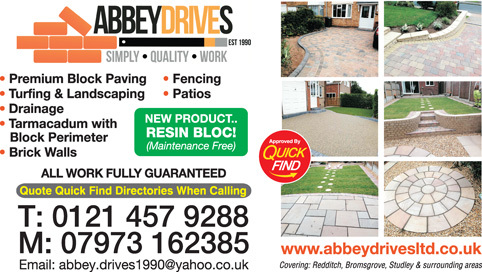 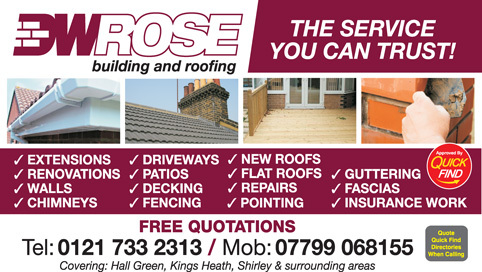 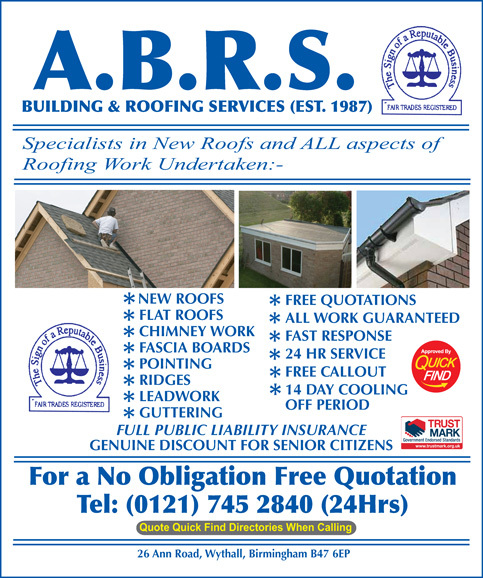 Approved and recommended by Quick Find Directories, ABRS Building and Roofing are a local trusted roofer in Solihull, Shirley, Rubery, Quinton, Olton and surrounding areas. 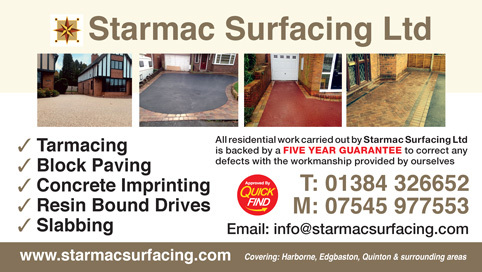 Rain Guard UK are damp proofing specialists. 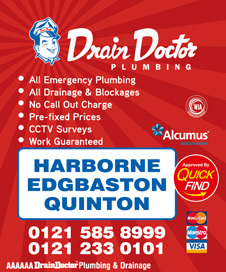 Vetted and approved by Quick Find Directories offering damp proofing across Birmingham, Harborne, Edgbaston, Quinton and surrounding areas.